It's been years since I've taken the short trek out to Banff for the annual Banff Mountain Film Festival but I'm actually planning on going out to the festival twice this year! It's "the place to be" for outdoor adventure enthusiasts and you'll be rubbing shoulders with mountain film makers, professional athletes, and guide book authors whose books you've been reading for years. The one movie that I am excited to see is "Drawing Home" which will be make it's world premiere Wednesday, November 2nd at the Banff Mountain Film and Book Festival. 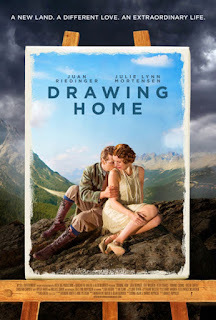 "Drawing Home is a romantic, warm, dramatic retelling of an epic true-life love story that until now has been little known outside of Canada. 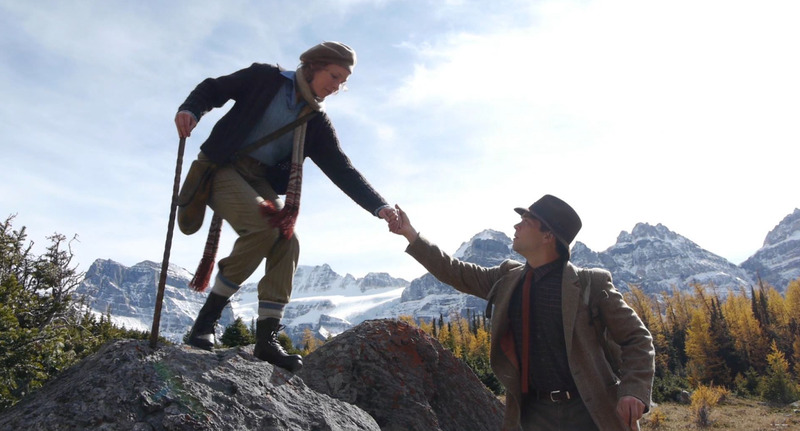 The film, which was shot in and based on the beautiful settings of Banff, is coming home to make its World Premiere at the Banff Mountain Film and Book Festival." The film features an all-star cast: Juan Riedinger (The Romeo Section, Narcos), Golden Globe and Emmy Nominee Kate Mulgrew (Orange is the New Black, Star Trek Voyager), Emmy Winner and Golden Globe Nominee Peter Strauss (State of the Union, Rich Man, Poor Man), among many others. As well as local Albertan and Canadian artists, including Calgary-native Julie Lynn Mortensen, who is making her silver screen debut. "Drawing Home" comes home to make its World Premiere at the Banff Mountain Film and Book Festival. The film is being screened at 7:00p.m. and 9:30p.m. Wednesday, November 2nd (18+ only) at the Lux Theatre in Banff, AND I have two tickets for the 7pm showing! Contest ends Sunday, October 30th and winner will be contacted by Monday, the 31st. Sounds like a very intriguing movie! Is Lake Louise too obvious? Loved the golden larches, and maybr Mount Rundle? Cool to see our local "backyard" shown again on the big screen. I thought I saw a glimpse of Morraine Lake (prior to the Lak Louise shots) but I could be wrong as it's been a while since I was there. Nice to see our own "backyard" shown so beautifully on the big screen. I thought I saw a quick shot of Morraine Lake in there (before those of Lake Louise) but I could be wrong as ya been a while since I was there. I got the easy ones . . . Lake Louise, Morraine Lake, and Mt. Rundle. this movie looks very intriguing... right up my alley! I give the film two thumbs up. (But then I did produce it!) 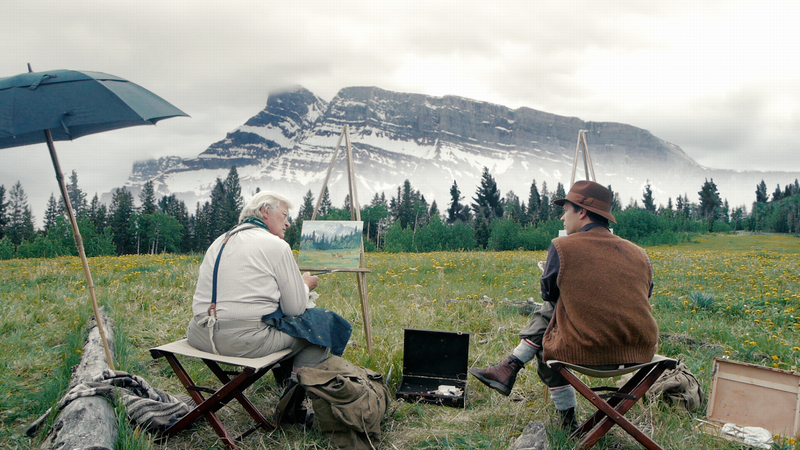 Seriously, Drawing Home is a beautiful and exciting movie about two heroes of Banff -- and we shot in all the original locations. Hope you can come see it!